Simon Zebo and Donnacha Ryan both continued their excellent starts to the new Top 14 season over the weekend, with both players grabbing a try as Racing demolished Agen 59-7. 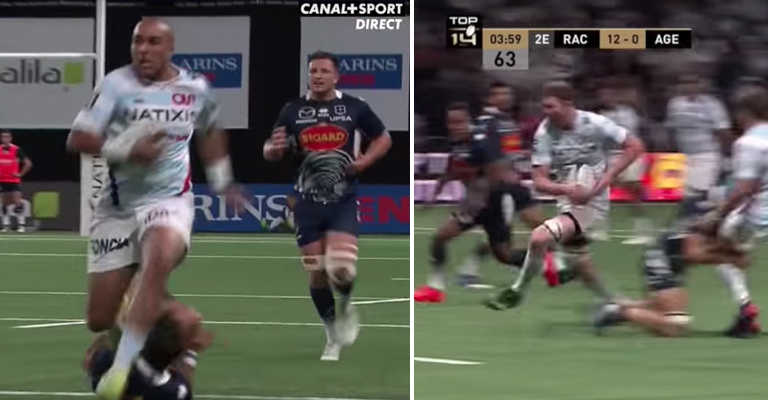 Zebo and Ryan starred in Racing’s opening day win over Toulon, and while they came out second best last week against Clermont, Zebo bagged his first try and Ryan gave us the highlight of the weekend with this monstrous tackle. Saturday’s win however, saw them bounce back from last week in some style, scoring nine tries on the way to an absolute route. Ryan had an easy walk in four minutes into the game, before Zebo grabbed Racing’s eight try thanks to some excellent work from France international Virimi Vakawata. Paul O’Connell’s Stade Francais meanwhile suffered their first defeat of the season at the hands of Clermont, while Paddy Jackson’s Perpignan are still without a win after they lose 22-16 to Lyon with the Ulsterman kicking 11 points.